The Coalition for Hispanic Family Services (CHFS), established in 1990, provides services to Latino children and families and other populations in communities where significant numbers of families live below the poverty level. CHFS's programs address family needs comprehensively and within a cultural context, with the goal of moving them towards self-reliance. CHFS operates foster care and adoption services, child abuse prevention programs, outpatient and residential mental health programs, arts and after school education programs for children and adults, and parenting support programs. 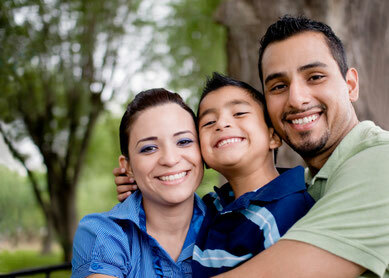 Coalition for Hispanic Family Services is New York City's only Latino foster care and family services agency. Thinking about being a foster parent? Click the video below & Fill out this interest form to learn more! today and support Puerto Rico Hurricane Relief! Let's all lend a helping hand! Coalition for Hispanic Family Services shares concern with our families and communities throughout the country who have friends, family, and other ties to Puerto Rico and Mexico. We have partnered with Hispanic Federation to support the UNIDOS Disaster Fund that is helping meet the hurricane and earthquake-related needs and recovery in both Puerto Rico and Mexico. They need our help now, to learn more and donate, click here.